Yesterday we did our first meetup in São Paulo! To start the event we did an icebreaking session with the meetup participants. 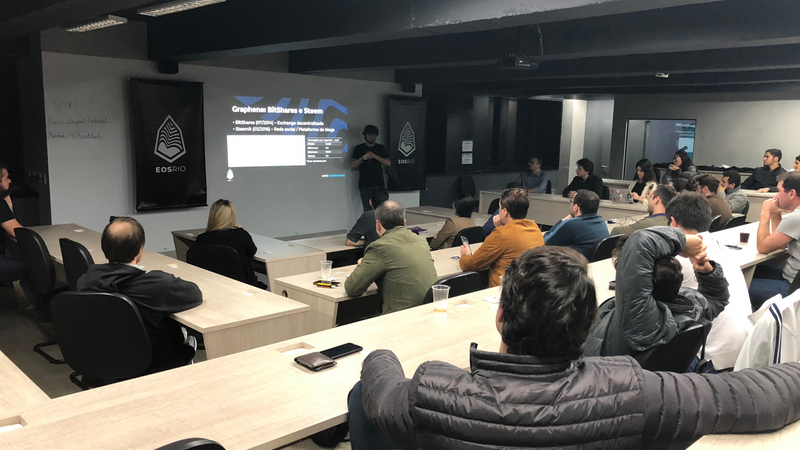 After that Igor Lins e Silva (head of technology) and Thiago Canellas (head of strategy) presented to the community updates on infrastructure and governance, among other topics. Frank Tao and Susana Liu, from Huobi Brasil, made a presentation about the company’s plans for Brazil and help the EOS community. And the night ended with a pitch from BeSpiral. It’s a very cool initiative from the community in São Paulo. We hope to collaborate and support this amazing community. In late september we will be hosting another meetup and the EOS Rio hackathon finals, at the BlockCrypto Conference. Events like that can foster the EOS community in a very important city for Latin America.